DEEP BED FILTERS (PE) WITH OPTIONAL MAGNETIC DRUM (MPE) - Barnes International, Inc.
BARNES TOOK THE MOST PROVEN DEEP BED GRAVITY FILTER IN THE INDUSTRY WITH OVER 11,000 UNITS SHIPPED AND UPDATED THE DESIGN TO ALLOW LARGE OR SMALL ROLLS OF FABRIC FILTER TO BE UTILIZED, WHILE MAINTAINING KEY FEATURES SUCH AS THE FABRIC SIDE SEAL, DEEP BED DESIGN AND MAGNETIC DRUM OPTION. BY ADDING THE MAGNETIC OPTION FOR FERROUS MAGNETIC STEELS IT WILL REDUCE THE OVERALL FABRIC USAGE AND IMPROVE EFFICIENCY (SEE OUR TABLE BELOW). REQUEST A QUOTE AND FIND OUT ABOUT OUR FAST DELIVERY (4 TO 5 WEEKS FOR SPECIFIC MODELS) AND NEW LOWER PRICE. BARNES PROVEN STANDARD SIDE SHIELD SEAL PREVENTS COOLANT BYPASS COMMON IN MANY COMPETITIVE FLAT BED FILTERS. 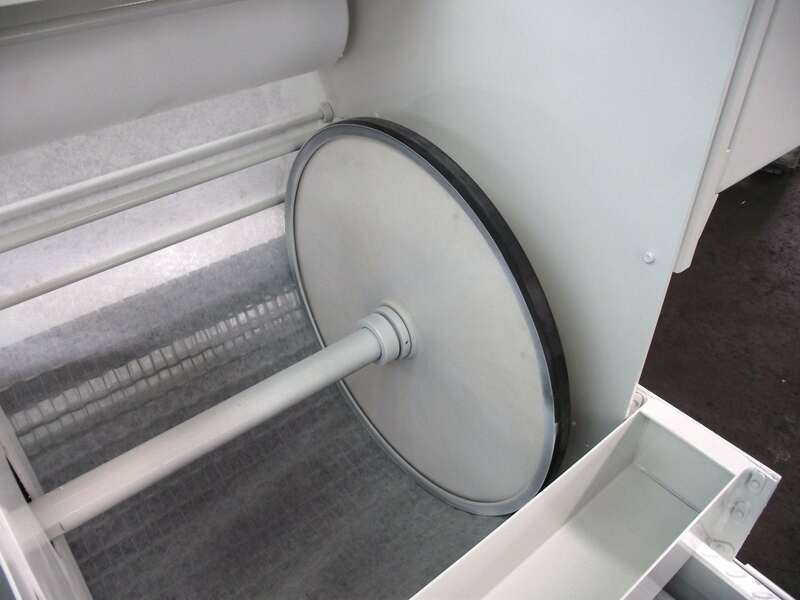 THE DEEP BED DESIGN MINIMIZES PAPER USE BY MAXIMIZING COOLANT THROUGH THE FABRIC IN A GRAVITY DESIGN.